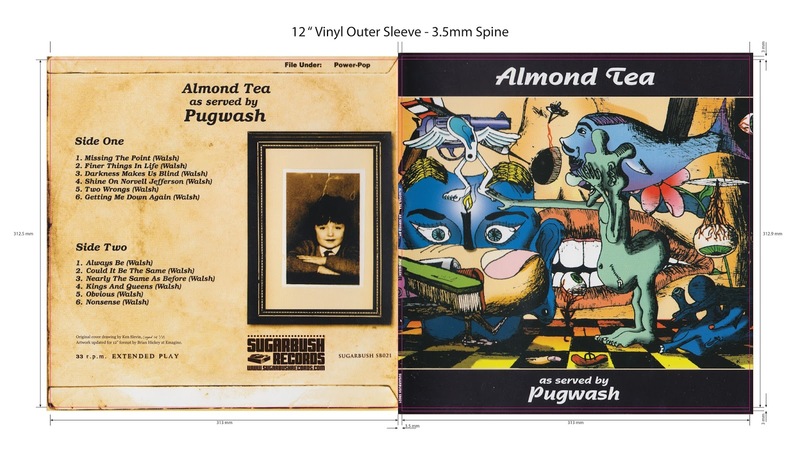 SUGARBUSH LABEL NEWS & VIEWS, 10TH MARCH 2016. I am very much looking forward to Willie Dowling of the amazing DOWLING POOLE coming to visit next week. 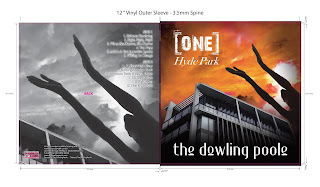 The pressing on vinyl of the new DOWLING POOLE album should be arriving today and Willie is swinging by here in Kent on his way from France to London. He is a tremendous fellow, hugely talented as you all know, and an engaging talker and although our meetings are generally over far too soon it is always a blast to see him. The new album ONE HYDE PARK is on general release in the first week of April this year and my label SUGARBUSH is lucky enough to have been asked to release the vinyl edition once again. This is limited to only 300 copies, which seems insane as an album should, and in the past would have, be selling thousands of copies. But such is the new age of vinyl, while we hear of a vinyl revival in reality the numbers shifted these days are very low. This does not detract from the fact that some incredible music is being made all the time and around the globe. But, despite all the hype, vinyl is a tiny fraction of the overall numbers of albums sold. Maybe people these days don't, on the whole, have the time to sit and listen to an album. I find the physical aspect of placing the vinyl on the deck after removing from the sleeve an integral part of the listening process, but I and possibly you, are now in a minority. Personally I don't really mind selling 300-500 copies of any album I release but for the artists it would be nice if they could count on bigger sales and therefore more money and exposure. But it is as it is. Another great find in recent time is LANE STEINBERG, whose 8by8 album "AZALEA'S ROOM" I am releasing in a few weeks. This was an entirely lucky find. I was digging around in my stash of 80s singles a while back and found one I could not remember ever playing. It was by a USA band - WALL OF ORCHIDS - from the late 80s. I played it and it turned out to be a Pop classic of the highest order. Reading the credits on the back cover, the name LANE STEINBERG jumped out and it became clear that he alone was the talent behind this great 7" record. My idea at that moment was to find him via the internet and to ask him if he had any other music in the vaults. So, find him I did in minutes and within a hour or so had played a batch of WALL OF ORCHIDS songs. I had also emailed him and lo and behold he replied the same day! We hatched a plan to issue a retrospective of the WALL OF ORCHIDS recordings. However, he mentioned a current new project, 8by8, which at that point I had filed in mind as a "must listen to at some point" project and put it aside for a while. When I did finally get to listen to the 8by8 albums online I was pretty impressed. So much so that the WALL OF ORCHIDS album was put on hold and we agreed to issue the 8by8 album first. Mainly, because it was so good but also it is where Lane's energies are at the moment. So in a few months you may be one of the lucky 300 or so people who have a chance of owning this great album. With its layers of harmonies and intricate songs it is almost like a BEACH BOYS album for the 21st Century. While retaining a strong 1960s as well as 1980s feel the ideas and music are very much in the now while all the time retaining the sense of melody and arrangement that I like so much and that my releases are geared towards. 5 weeks ago I bumped into THE JUNIPERS' Pete Gough at a London record Fair. it was there that he confirmed the new JUNIPERS album RED BOUQUET FAIR was finally finished and that I would be hearing the album within the week. The boys were true to their word and sent the album over and it is - inevitably - incredible, clever, deep, heartfelt and as good if not better than their legendary PAINT THE GROUND album (currently enjoying good sales on our 2nd pressing). I love this band and the lads who are THE JUNIPERS are a great bunch and very accomplished musicians and writers. The album should set the world on fire but of course it will be only those "in the know" who will get to hear about it while leaving the rest to wallow in the likes of Justin Bieber et al. But that's how it blows. 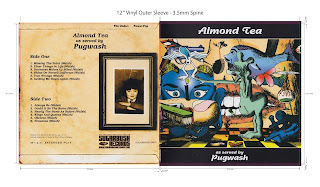 In time, however, as the cream slowly rises to the top you will be the proud owner of what will be considered one of the best even English Psych/pop albums.